This debate was definitely a good one. Foreign policy is an interesting topic to debate because only one of the candidates can speak from experience, while the other would have to speak hypothetically. The moderator did a decent job balancing the time between the candidates, and standing his ground when the candidates tried to speak over him. I will be the first to admit that it was kind of hard to follow, but as the debate progressed I found that the questions and answers were easier to comprehend. With that said, I’m going to give a break down of each candidate’s delivery and then discuss my take on their answers. Mitt Romney: Romney for the most part came prepared with a different strategy. He was very passive during this debate. Although he spoke over the moderator quite a few times, I thought he limited his assertiveness and aggression tremendously. He claimed to be attacked quite a few times during the debate as well, which I believe to be a very strategic move. For some people, it could have given the impression that President Obama was bullying Gov. Romney. Throughout the debate, it was quite evident that Gov. Romney was upset about some of the things Pres. Obama said. Barack Obama: President Obama definitely came prepared to defend his stance on foreign policies. He spoke clearly and concisely. He was assertive and aggressive, although he was spoken over a few times. The President was very poised and comfortable during this debate. I think he might have enjoyed this debate more so than the others. 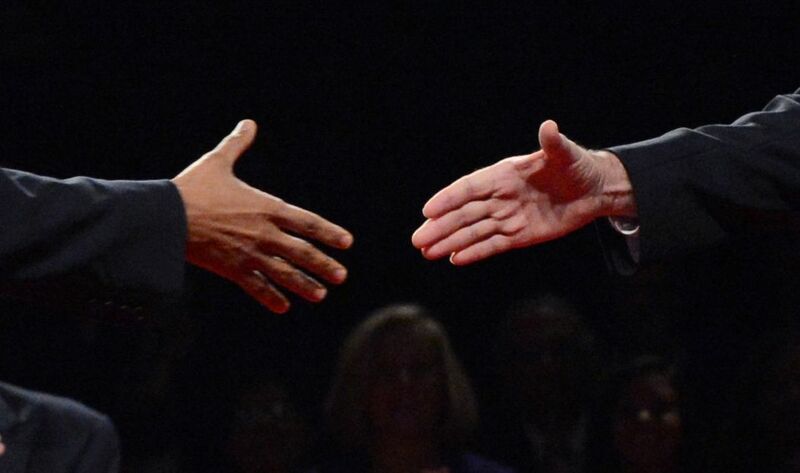 President Obama definitely exuded a sense of confidence throughout the showdown. Mitt Romney: I’m not really sure where Gov. Romney stands on foreign policy, except on a few topics. For the most part, he agreed with practically everything President Obama is doing or has done concerning foreign policy. However, his stance on some things has changed over the course of his campaign. For instance, during the last debate Romney bashed the Chinese completely, but this time around he was more open to building a relationship with China. Although he said some of the same things from the last debate, he definitely portrayed a different attitude toward our relationship with China. I also thought it was quite interesting that Gov. Romney did not try to rebut Pres. Obama’s comment about Mitt Romney’s businesses doing business with Iran through China. In addition, I thought that Gov. Romney’s stance on the military should be duly noted because he wants to increase the military budget, although the Pentagon hasn’t requested it. His comparison of today’s military to the military of 1916 just proved how out of touch he truly is. As aforementioned, Gov. Romney’s answers were vague and very similar in some aspects to Pres. Obama’s. Barack Obama: President Obama stance on foreign policy remained consistent throughout this debate. He emphasized along with Gov. Romney that America would have Israel’s back in a war. Pres. Obama went on to talk about how he ended the war in Iraq, and captured/killed Osama Bin Laden. Another key topic he spoke about was the departure of the troops from Afghanistan by the end of 2014. This action was also interestingly enough backed by Gov. Romney, who previously did not support it. Although the President didn’t do an adequate job answering the question about America’s role in the world, I thought he adequately described what relationship the United States should have with China in the future. I also thought Pres. Obama’s point about taking care of home first was a very important one to be made. Although some may say that the Presidents’ comments about horses, bayonets, and battleship were unnecessary, I have to disagree. I think he made a valid comparison to show how uninformed Gov. Romney is concerning our military. Another point that I thought was important was Pres. Obama’s comment about Gov. Romney’s businesses working with Iran, the country we “despise”. The President spoke on experience during this entire debate; it was evident that he knew what he was talking about. The media will have you to believe that there was no clear-cut winner, or that Gov. Romney played the part for a reason, which in turn provided him with a win. However, it was clear that Gov. Romney has no stance on foreign policy or at least it doesn’t differ much from President Obama’s. It would be negligent of me to say that this debate was a draw, or there was no clear-cut winner. 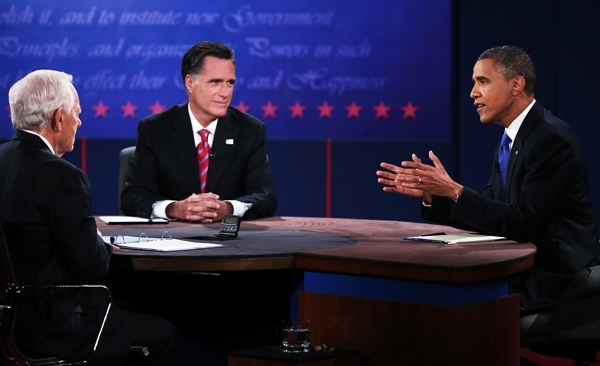 In my opinion, the POTUS most certainly came out on top in this debate. The polls can also attest to that. With this being the last debate, and with the race so close, all I can do is continue to encourage people to go vote. This is a very important election as are any other elections in America. So, please exercise your right to vote! Posted on Tue.Oct.23.2012, in News & Opinion and tagged 3rd Presidential Debate, address, addressing, Afghanistan, African Americas, aggression, aggressive, aids, air carriers, allies, America, American People, Americans, angry, Ann Romney, assertive, assertiveness, audience, back up, Barack, Barack Obama, battleship, bayonettes, better debate, better than the first, Biden, Black America, boost, budget, bully, Candidate, candidates, Candy, Candy Crowley, cars, China, Chinese, citizenship, college, controlling, country, creating jobs, Crowley, current-events, debate, Debate 2012, Debates, debating, decent job, decline, deficit, demeanor, Democracy, Democrat, Democrats, disrespecful, economy, education, election, Election 2012, energy, First Lady, first presidential debate, foreign policies, foreign policy, FOX, Gas Prices, Gov. Romney, Governor Romney, green card, home, horses, Illegal immigrants, immigrants, Iran, Iraq, Israel, jobs, Joe Biden, Libya, loser, lost, mad, Massachu, media, Michelle Obama, military, Mitt, Mitt Romney, moderates, moderator, Mr. Obama, Mr. President, MSNBC, Nation, naval force, navy, news, Nominee, nuclear submarines, Obama, obama barack, Outlets, outsource, outsourced jobs, outsourcing jobs, Paul Ryan, Pentagon, people, poise, policies, politics, Polls, POTUS, Pres. Obama, President, President Barack Obama, President Obama, President of the United States, presidential, Presidential candidates, Presidential debate, Presidential Debate 2012, Presidents, previous question, questions, race, Republican, Republicans, Romney, rude, Ryan, salaries, Second Presidential Debate, security, self-deportation, ships, siding, solar energy, space, students, support, this country, Town Hall, United States, united states of america, USA, Vice Presidential debate, Vice Presidents, visa, visas, war, White America, winner, women, Women's Rights, won. Bookmark the permalink. Leave a comment.